be available in your area. your home’s energy usage. Sealing your leaky air ducts may be the single most important thing you can do to improve your home’s energy performance. What does duct sealing improve? 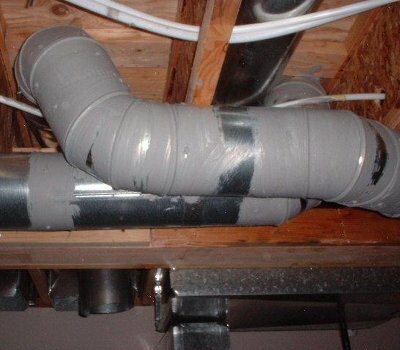 How do you seal your duct-work? just time and special attention. The most important thing to remember when duct sealing is, “don’t use duct tape.” The adhesives in duct tape are not designed to withstand typical temperature and moisture variations around duct-work. Duct mastic or mastic tape is designed for HVAC applications and is the preferred method for a long lasting seal. Duct mastic is applied directly to the internal duct not on the outside duct insulation. leakage, on average, will reduce your annual energy consumption by as much as 16 percent.